Action Guide – provides suggested steps to take from day one of an injury/illness, through a 30 month period. Timeline Overview – a sample boilerplate format to manage individual cases. Glossary of Terms – a comprehensive glossary tailored to RTW terminology. Step by Step Packets for Supervisors, Employees and Doctors – designed to help streamline the process from the time of injury through initial treatment and notification of all applicable parties. Forms – the necessary documents to support each item mentioned. 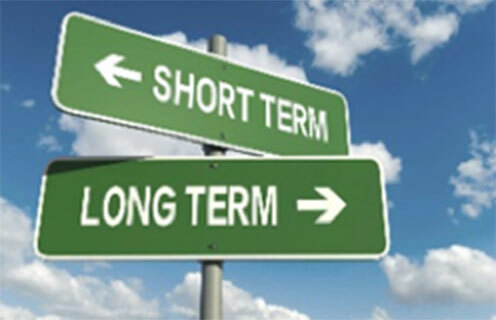 Short Term Disability (STD) and Long Term Disability (LTD) – definitions, codes, booklets, pamphlets FAQs. Save the Date – a chance to see scheduling of upcoming trainings and seminars. The County of Los Angeles recognizes that its most valuable assets are its employees, and is committed to assisting them navigate the disability leave and return-to-work process. We take a proactive approach to disability management and work to ensure full compliance Countywide with the Americans with Disabilities Act (ADA) and the California Fair Employment and Housing Act (FEHA). Both laws require employers to provide reasonable accommodations for individuals with a physical or mental disability to enable them to perform the essential functions of their jobs or another appropriate job. At the heart of our RTW program is the Interactive Process. These meetings allow the County, employees and departments to explore options and arrive at the best outcomes for the employees. The Short-Term Disability (STD) Plan provides an income replacement benefit to participants in the MegaFlex Benefit Plan employees in the event they become ill, injured, or pregnant. Employees may select the level of STD benefit income replacement and length of waiting period during benefits enrollment. The plan is administered by Sedgwick Claims Management Services. Participants in the Flex, Options and Choices Benefit Plans earn County-administered full- and part-pay sick time to provide an income replacement should they become disabled for fewer than six months. The Long-Term Disability Plan provides a monthly income replacement benefit in the event an employee becomes disabled and is unable to work after a six-month waiting period. The Survivor Benefit Plan provides eligible survivors with an income replacement benefit in the event of an employee’s death. The plans are administered by Sedgwick Claims Management Services. The County of Los Angeles provides leaves to protect eligible employees that experience medical problems themselves or within their families. These unpaid leaves include: the Family Medical Leave Act (FMLA), California Family Rights Act (CFRA), and Pregnancy Disability Leave (PDL). These leaves promote the stability and economic security of families demonstrate the County’s interest in preserving the integrity of families. The County is committed to the needs of breastfeeding mothers when they return to work. Providing proper lactation accommodations can speed the return to work of breastfeeding mothers while also supporting their commitment to continue breastfeeding. We provide lactation spaces throughout all County departments to meet our employees’ lactation accommodation needs. The County of Los Angeles has been recognized as a Mother-Baby Friendly Workplace by the California Breastfeeding Coalition and presented a BreastfeedLA Recognition for our dedicated support of our breastfeeding employees. For more information on the Lactation Accommodation Program click the button below to take you to the current lactation and accommodation page. Your first stop to discuss disability or leave issues is your department’s Return-to-Work or Leave Management Section. Should you need to file a claim with Sedgwick for Long-Term Disability, the Survivor Benefit Plan or Short-Term Disability (MegaFlex participants), please call Sedgwick at 1‐800‐786‐8600 or apply online at: https://claimlookup.com/LACounty.